Many of you know me as Gordon but in actual fact, that’s not my real name. It’s my alias online. It all started around 10 years ago with the game Half Life. It was the most awesome game I have ever played. It tells the story of a silent hero Gordon, his quest to stop an alien invasion and make it home in time for dinner. What I love about the game is that there are no cut scenes in between levels. Everything unfolds by itself as you proceed through the game. Gordon never spoke a single word in the game. It gave you the feeling that you are really in the boots of Gordon from a first person perspective witnessing all the mayhem. 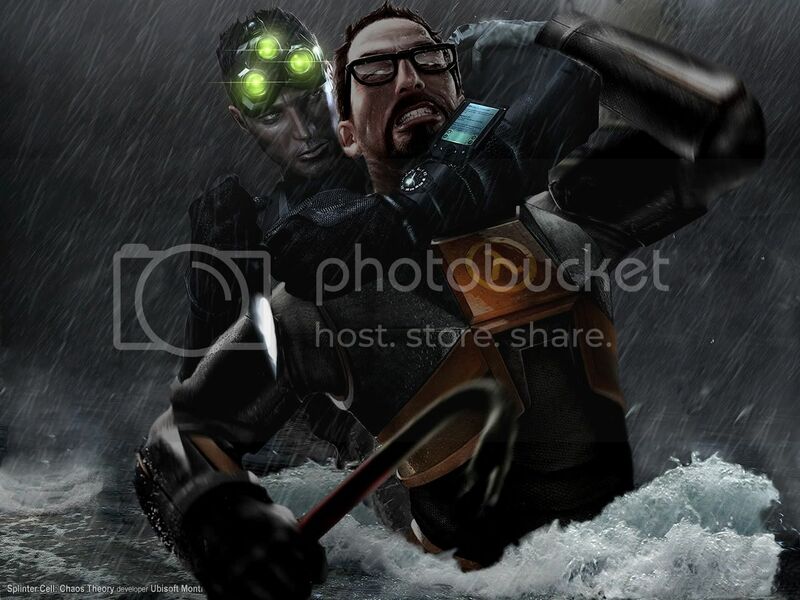 The game was so awesome I decided to adopt the name Gordon whenever I play games like Counter-Strike. So what’s with the ‘ator” suffix? Well first off, I did not copy from Japanator. I believe Japanator was started in late 2006, I registered my nickname Gordonator at a local forum in mid 2004. Anyway many years ago I came across someone by the name of Kevinator at another forum. I thought it sounded pretty cool so decided to add ”ator” to my nickname as well. And there you have it, the not-so-secret origin of my alias. This post will be made into a “About Me” tag which I will put up in the near future. And lastly thank you for wasting 2 minutes of your life reading about me. Lol the many jokes about him. Well done anyway dude. Nice to know how your nick came about. Gordon is a pretty good name though. nice knowing more about you. I live in Gordon street by the way. that’so cool to have a street named after me. any ideas why it is named after gordon? any history behind it? Yeah, now I know abit more about Gordon.. Well, we should one day make it a public holiday called Gordonator’s Day..
i see. thank you for the answer which i have been searching for the past 10 years. thanks for the suggestion. i’ll implement it one day after i become the prime minister.lol. anyway i assume the asuka in your name means u are an asuka fan right? what does your nick means anyway? reminds me of Hasta la vista. Chun: Must reveal more about yourself to us some day. Rawr. is Mizunaga your real name? LOL at the comics. but seems kinda weird gordon is talking in the comic. prefer him to be the silent hero. your real name is sam? a very bad pun coming from u. lol. play battlefield 2142, is also a good game. But is not really fun if people get shot in the face repeatly by a Skilled 14 years old kid. @Gordon, Well, it is, yet it is not.. ^^; Maybe I should do a post on that one day.. Maybe.